Bush BFSNB12B Free Standing 60cm A++ Full Size Dishwasher - Black. 5 out of 5 stars - Bush BFSNB12B Free Standing 60cm A++ Full Size Dishwasher - Black. 1 product rating1 product ratings - Bush BFSNB12B Free Standing 60cm A++ Full Size Dishwasher - Black. Collection from Chipping Campden, Glos. Good working order. 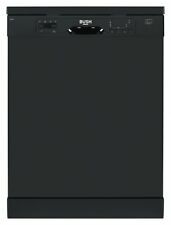 Bush BFSLNB9B Free Standing 45cm A++ Slimline Dishwasher - Black. Let the Swan SDW7080W Freestanding Dishwasher do the hard work for you. Viewing is available. An adjustable water-softener makes this Swan dishwasher suitable for different areas around the country with different levels of water hardness. 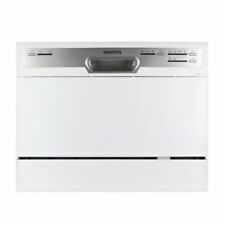 Bosch SMS25AW00G Freestanding Dishwasher with 12 Place Setting Capacity in White. Condition is New. Dispatched with Royal Mail 2nd Class Large Letter. 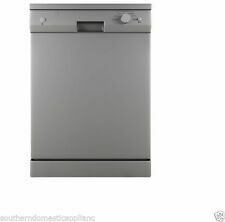 Hotpoint Slimline Freestanding Dishwasher SDW 60 with Manual. 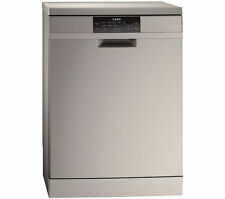 This freestanding dishwasher is one of the most efficient and affordable models on the market. Slim-line freestanding design. Eco is great for keeping your energy bills low, it’s probably going to be the settings you turn to daily. White Beko dishwasher. Dimensions are in the pictures. Owned for 5 years and in good working order. Only selling as getting an integrated one. From a smoke and pet free home. Collection from Hanham in Bristol. Super Silent 49db Operation - great for open plan kitchens or simply a quiet life! Our appliances are supplied direct from Hoover and have been classed as graded for a number of reasons – there are two levels of grading, the classification is as follows;-. 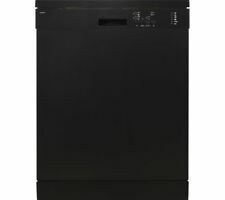 New listingBush BFSNB12B Free Standing 60cm A++ Full Size Dishwasher - Black. Bush BFSNB12B Free Standing 60cm A Full Size Dishwasher - Black.. Condition is New. Dispatched with Royal Mail 1st Class Letter. Black beko dishwasher full size good work order quite a few scratches on it .only selling as we have gone integrated. 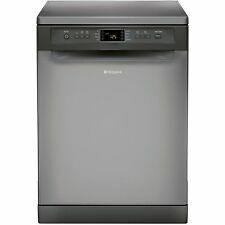 Bosch Classixx Slimline Dishwasher. By buying this item you are helping us to train and up-skill our service users. COLLECTION IS. Well used but working dishwasher. Grey freestanding. Collection only. Indesit Dishwasher Slimline. The dishwasher is in good condition .Collection is in person only from the Ullswater area of the Lake District. Payment by either PayPal or cash on collection. Many thanks for looking. Kenwood KDW60S12 Free Standing Full Size Silver Dishwasher Used. Condition is Used. This dishwasher is 4 years old and has some rust marks on the baskets in places.it is in full working order, only selling as I’ve bought a new one.viewing welcome in central Hull. Collection only and cash on collection is fine. I do not have the manual but I think you may be able to find it online. Hotpoint Aquarius Full Size Dishwasher- Like Brand New! Hotpoint Aquarius Full Size Dishwasher- Like Brand New! Used maybe twice or three times- basically like new. Model number FDM550 Collection only from AL60AT Have other white goods for sale- have a look! Condition is Used. Good working order. Four temp settings plus rinse. 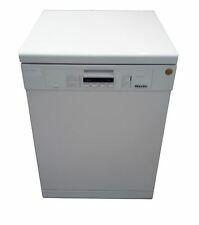 John Lewis JLDWW1201 Freestanding Dishwasher White. Condition is Used. Minor cosmetic damage, as shown in photo. Collection in person only. Ideal if you have limited space. I had to clear her flat so the item is currently located at Big Yellow Storage in Camberley. She lived alone so it has not had a hard life. Apologies for the blurry photo. Bosch SMS25AW00G Freestanding Dishwasher with 12 Place Setting Capacity in White. Condition is New. Dispatched with Royal Mail 1st Class Letter. 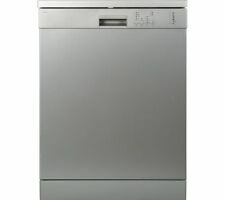 miele freestanding dishwasher, model G4920SC. Condition is Used. In regular use. Adjustable for water hardness, RRP £487, 15months old. Selling due kitchen refit. Collection in person. 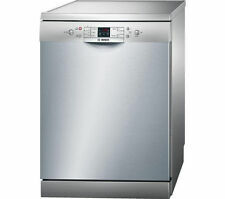 BEKO DSFN 1530 W Dishwasher . Condition is Used. Collection in person only.